By cmcmulch Uncategorized Comments Off on Spring Brings New Growth and……Mulch! Now that Spring is here and the winter chill is melting away week by week our minds begin to wonder. We think about the sun shinning, the April Showers, and all that landscaping and yard work we need to do. Stir up your old mulch a little before laying down new mulch. Only have a 2 inch layer of mulch. Anymore you will prevent proper irrigation of you plants. When using colored mulch it is best to spread it on a nice day with no rain. Keep your colored mulch on a tarp or off areas you do not wish to have stained. Carefully plan out where you want to mulch. 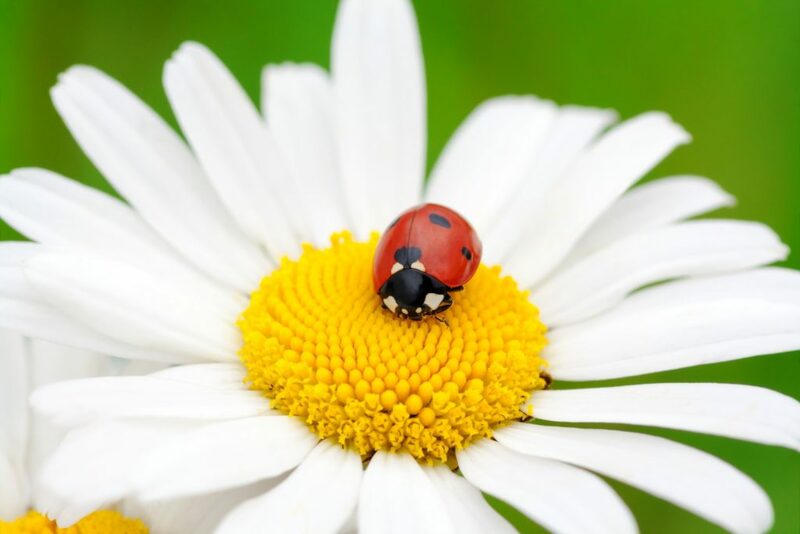 Here are a few helpful tips for you this Spring as you mulch your flower beds and make your yard look vibrant and full of life. Depth 100 Sq. Ft 1,000 Sq. Ft.
For more helpful tips check out more of cmcmulchcolorants.com. Colored mulch has been around for quite some time now and is used in many lawns and gardens. People have a variety options available to them when they go to the landscape store and look at all the mulch and stone that is out there. They can choose from all natural, stone, wood, colored and so much more. When people look at the colored mulch they see all the colors from black, brown, red, and gold and think how pretty it will make their landscaping look on their home and garden. But they maybe wondering if that colored mulch is safe for the plants and the environment. The colorant or dye that is used on mulch is safe for your plants and the environment. Colored mulch is not harmful to you, your animals or those pretty hydrangeas that you have in your blooming garden. 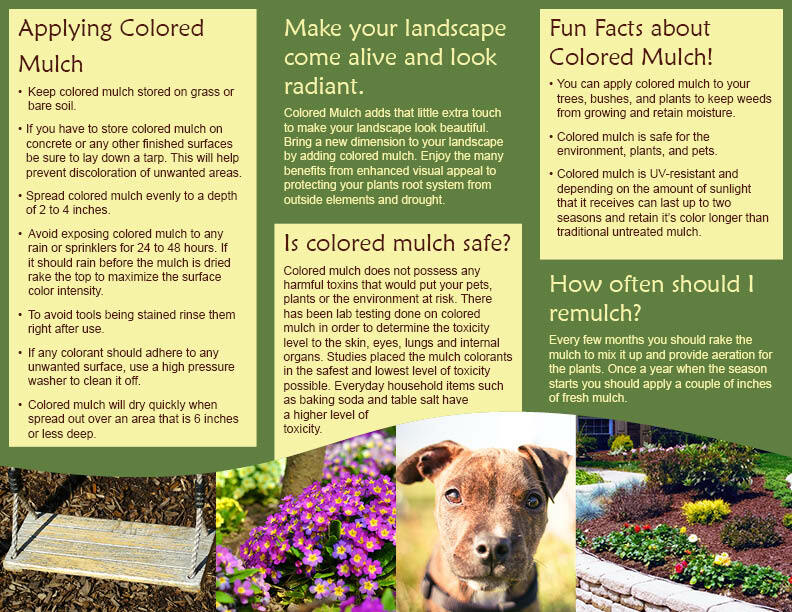 Below is a brochure that gives you plenty of tips, and safety facts about mulch. Take a look at it before you go out and be informed on what you are buying. Also on how much you will need, how to properly handle it and spread it in your garden beds. CMC will be at the Richmond Expo 2018 in Virginia in just a couple of short weeks. Please visit us at booth #407 to see how our premium mulch colorants perform. 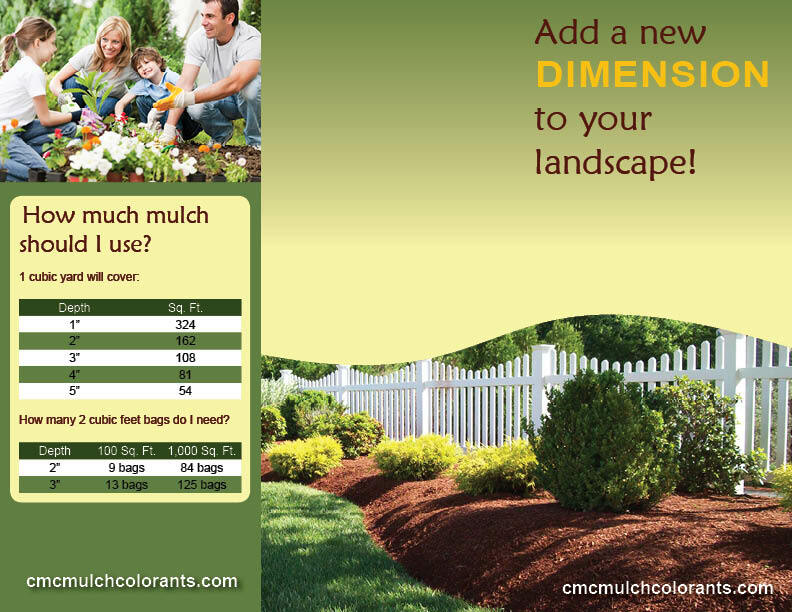 Speak to one of our representatives about the range of colors we offer and how well they adhere to the mulch. We produce a premium line and a hybrid line for harder to dye mulch material. We use special technology to produce our colorants in a liquid form, this technology allows for better coverage on the mulch and a richer color tone. CMC invites everyone to visit us at the show and see what we have to offer. CMC will be at the 2016 annual Mulch & Soil Council Annual Meeting in New Orleans, Louisiana. As a member of the Mulch and Soil Council for the last several years we are happy to attend the conference again this year and looking forward to meeting new people and reconnecting. We will be there to meet with people and make new connections that we hope will last. If you are interested in speaking to a representative about our products please stop by our table and speak with Russel Holcomb. We invite people to run a test with our colorant and see for themselves the quality you should expect from your mulch colorant. CMC at US Composting Council Conference. CMC will be at the 2016 US Composting Council Conference displaying their full line of Premium Mulch Colorants. We will have samples of the colors on display at booth #810 and our representatives will be able to assist you with any questions you have. Both representatives have years of experience and knowledge in this field and can assist you with all your mulch coloring needs.